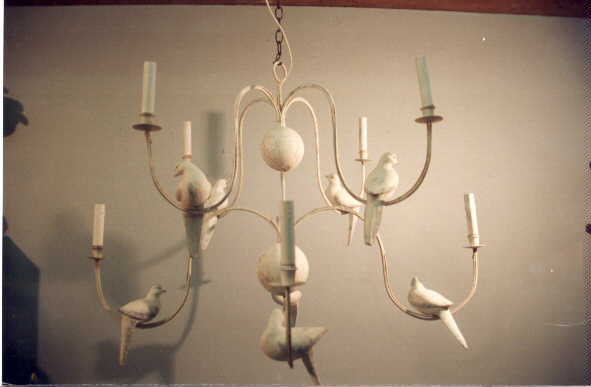 Description: 2 tier wire chandelier with eight painted doves. Takes 60 watt bulbs and has drip candle covers. Resin &steel.. Featured in Florida Design Magazine. Shades extra.